If you haven’t used Bandcamp yet, it is a great site full of wonderful artists. Great radio too, neat way to find new music and to support the artists that make it. Check it out! 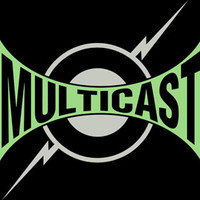 Here is the Multicast bandcamp profile. It is full of great tunes, some available for free (or a name-your-price if you feel so inclined). Here is a project with did with local electronic legends Equulei, we call the project Equuicast. Serious dub, serious ambient bliss! Rural Sessions was a classic Multicast album. We still have CDs and Albums available if you are interested in physical releases with all the artwork. On the Backs of Soldiers was a fun project with did in conjunction with Regis University’s Department of War History and the Aurora (Colorado) History Museum. Pretty intense stories from these war veterans all soundtracked up by Multicast! Here is our first vinyl release, EP1, which originally had only 4 tracks. We’ve spiced this digital version up with a total of 12 tracks now; for your listening enjoyment! Our original demo was limited to 50 copies and sent out to friends, promoters and record labels. Stripped out are the Freq Modif tracks which will be featured on the upcoming release on the Freq Modif Bandcamp page. Bonus Multicast tracks were added so there wasn’t a void! Our infamous 8″ floppy disk release sold out immediately, but we did sent out promo CDs with the EP and a bunch of bonus tracks. Seemed right to include that promo CD content with you, so here that is, plus just a few more tracks because that’s how we roll! And finally, from the 4213 7″ Box set Series, here is the Multicast single. For those that have been following us on this 20 year journey, we thank you for your lasting support! For those new to the Multicast sound, we thank you too, and hope you all enjoy our releases. We have several new releases in the hopper, so continue to check back!